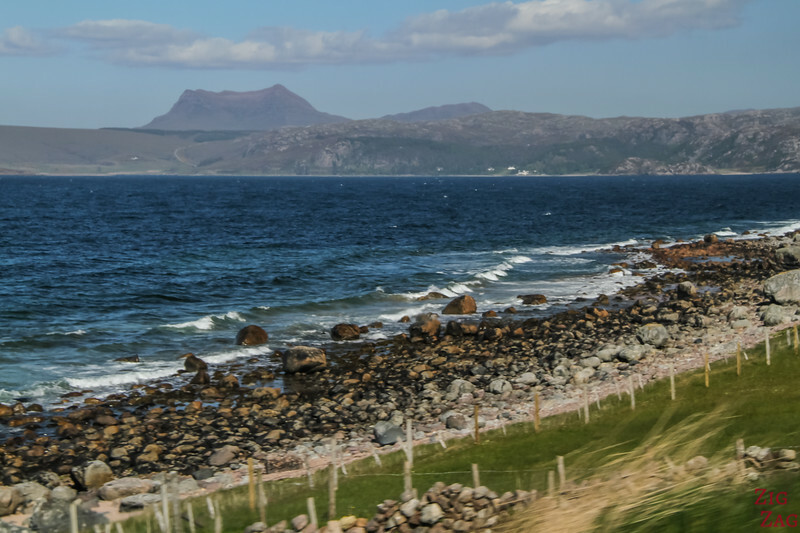 Located in the North West Highlands, Wester Ross Scotland is one of the most beautiful region in the UK with mountains, lochs, wildlife and intense colors. 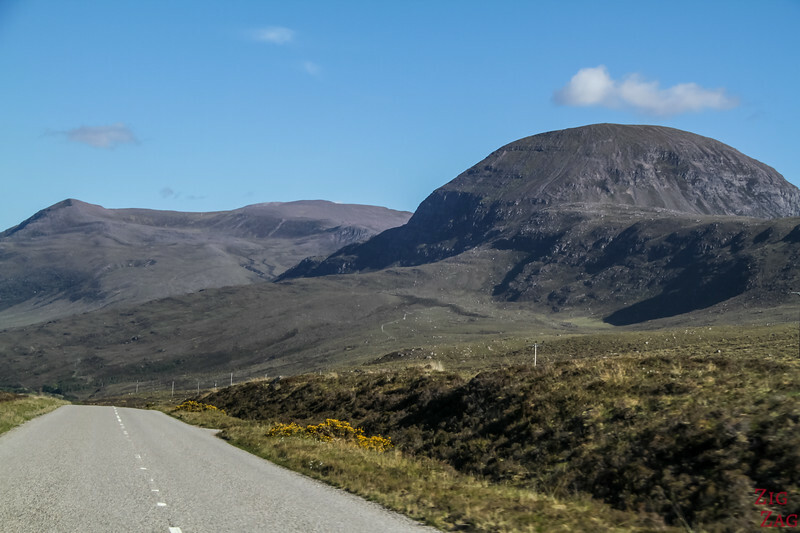 Do not miss going on a road trip through the area too discover its stunning landscapes! 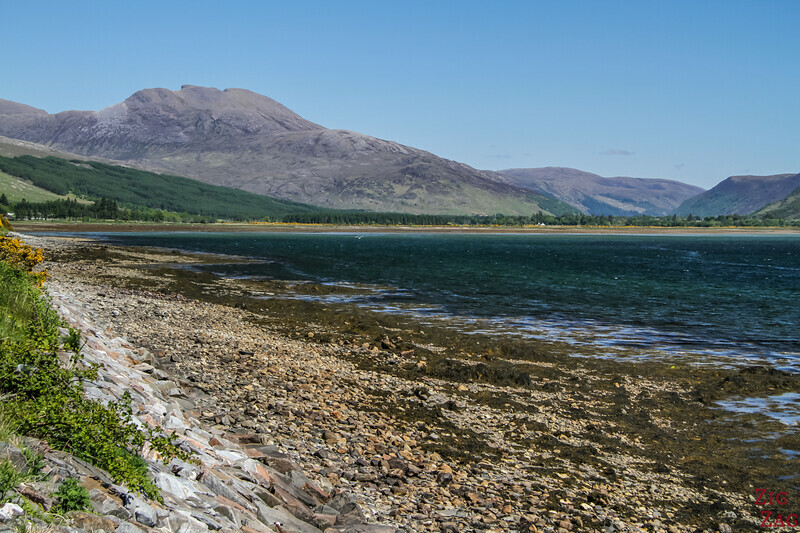 Loch Carron is 35 min drive from Eilean Don﻿﻿an Castle if you want to turn on your way to or from the Isle of Skye. 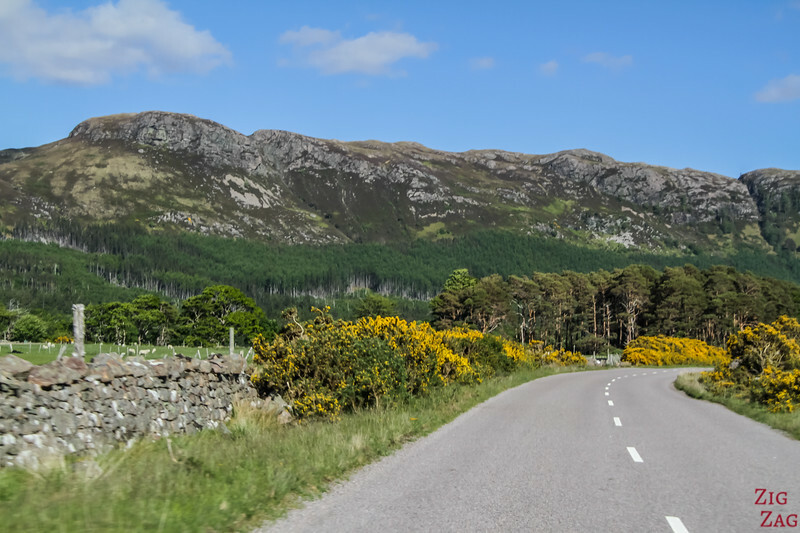 Recommended drive: From Eilean Donan take A890 along Glen Carron, then at Achnasheen turn left on A832 towards loch Maree. 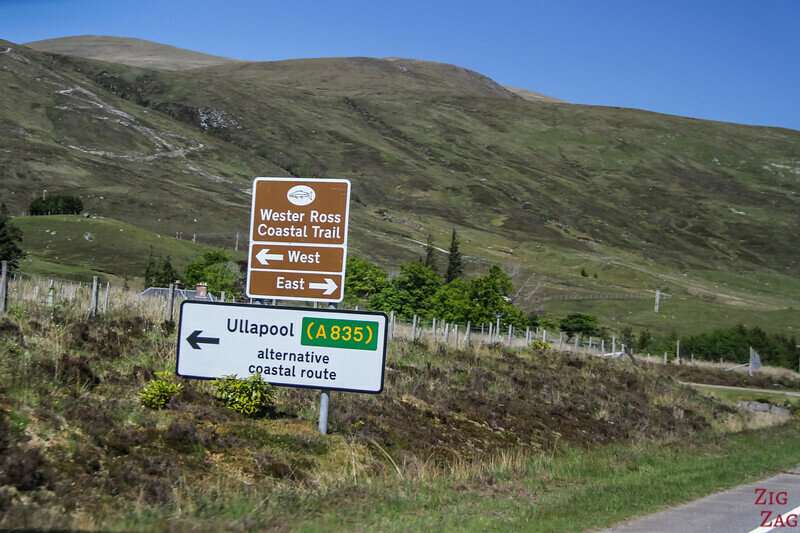 A 832 takes you on a big loop along the coast before leading you back inland and A835 towards Ullapool. 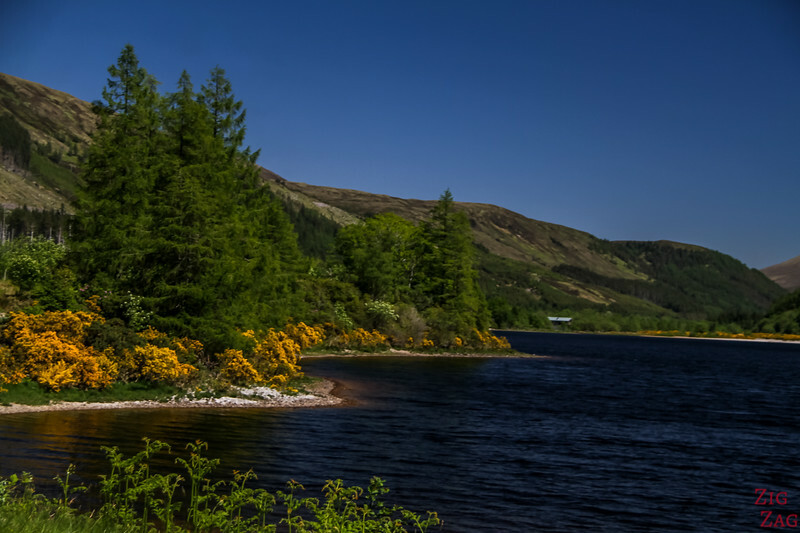 The article below will show you all the amazing landscapes you can discover along the way. 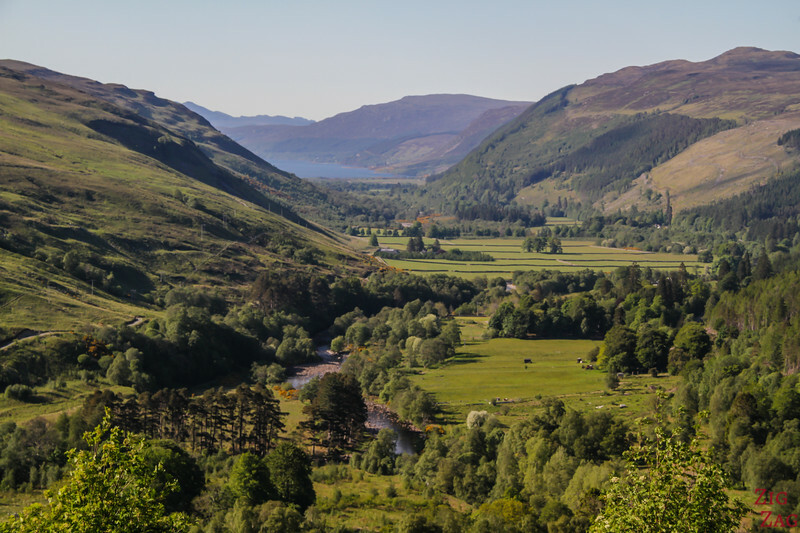 First stop is Glen Carron,a valley which starts with Loch Carron and its well named town Lochcarron (confusing I know). 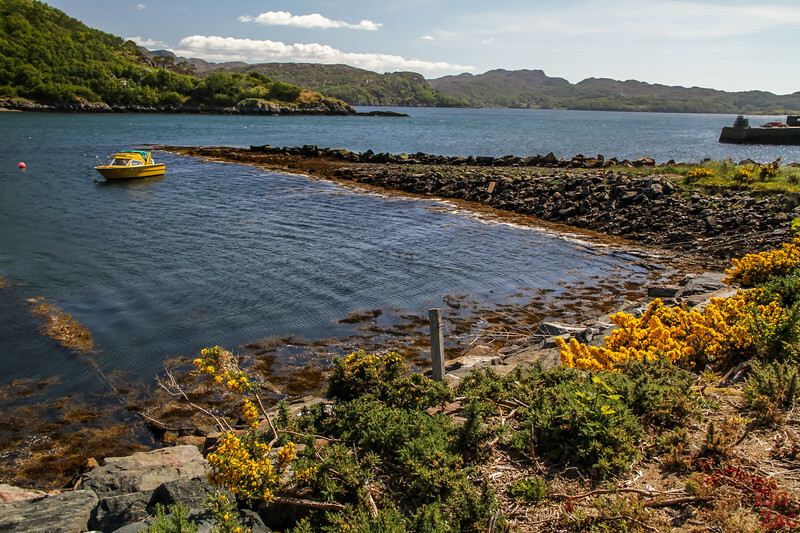 Loch Carron is a sea loch ​with abundant wildlife. The surrounding towns are small and peaceful. 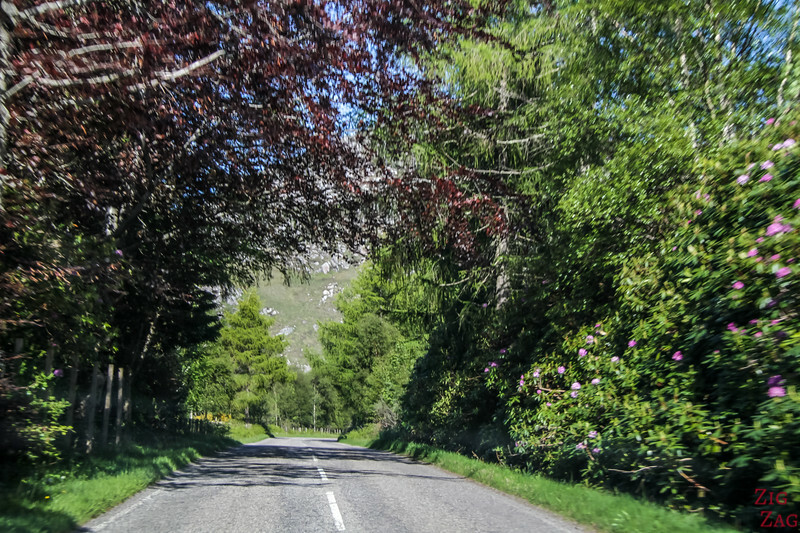 The Drive on A890 in Glen Carron will take you near beautiful small lochs and valley scenery. 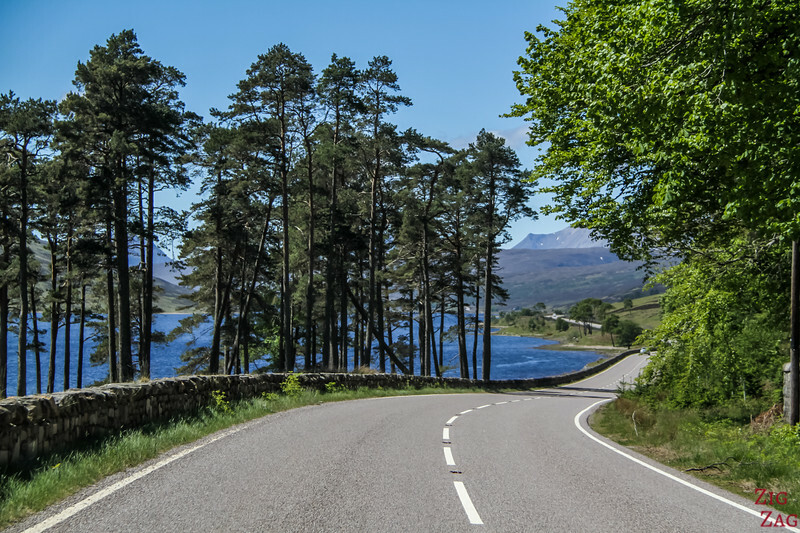 Another option is to continue past Lochcarron towards Torridon and drive up Glen Torridon instead. 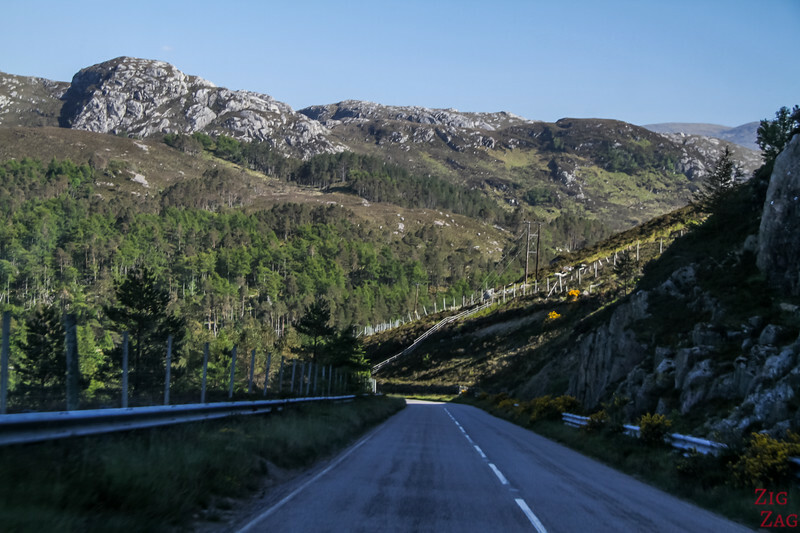 A896 will take you back to Loch Maree. I wish I had had time to do both. 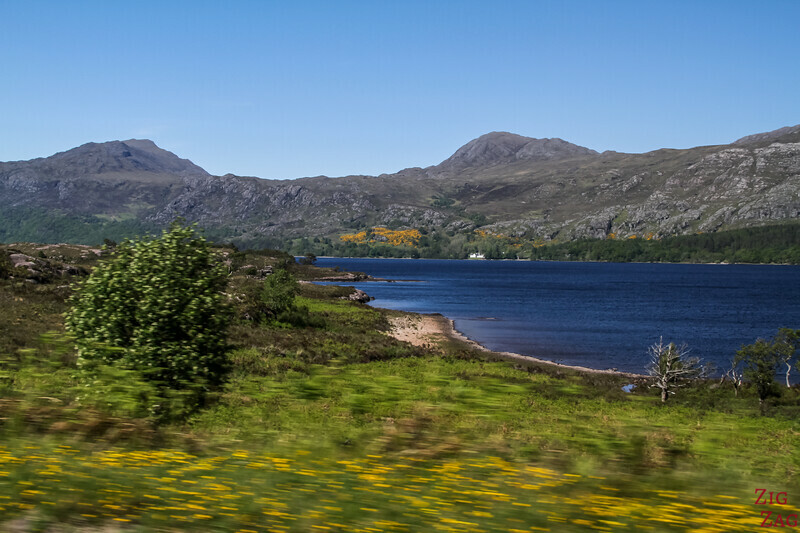 As you turn towards Loch Maree on A832, you discover Loch a' Chroisg. 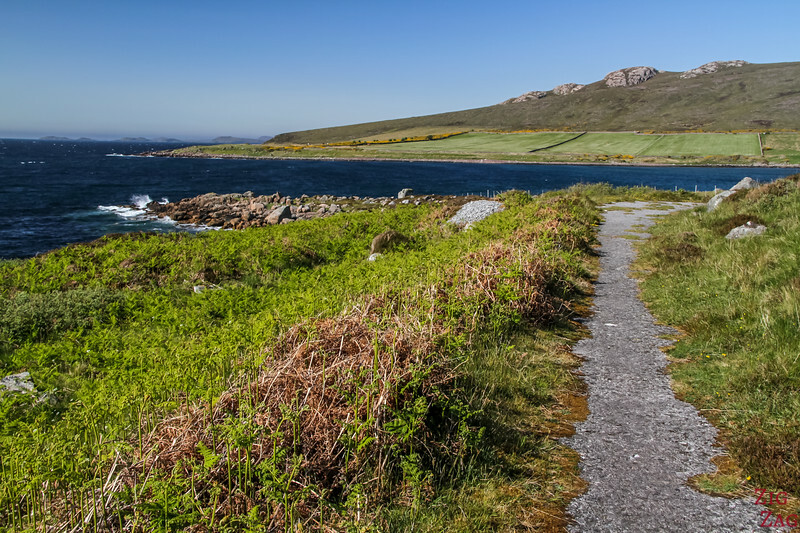 The road follows its Northern shore. 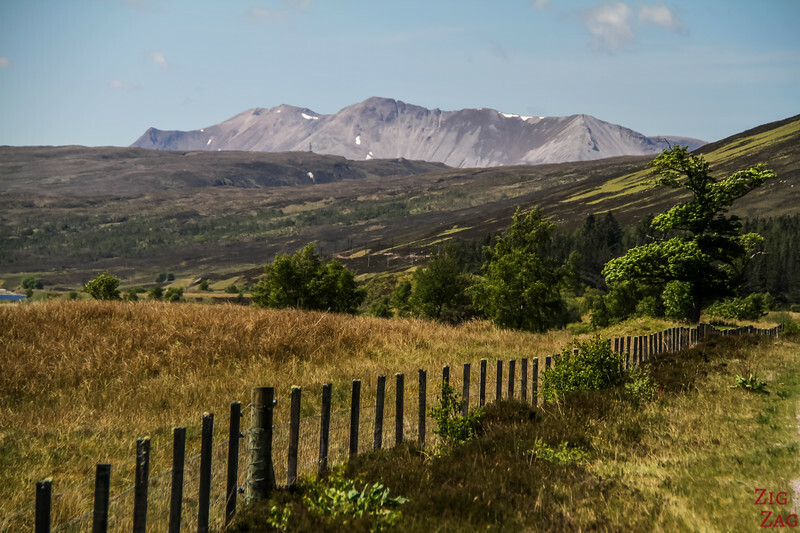 You start seeing some interesting summits in the distance and the drive keeps getting better ! 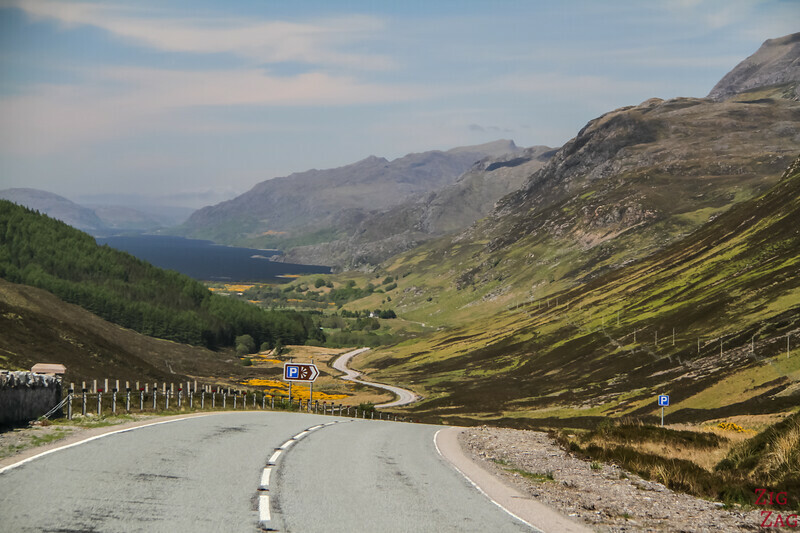 The road will take you up a pass where a viewpoint has been set up to admire from Loch Maree from above. 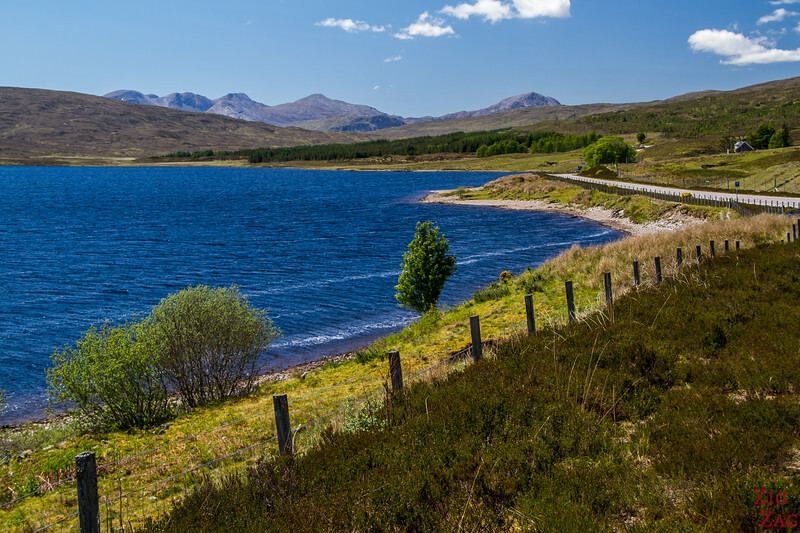 The road then winds down to its shore and stays close for a good half of the loch. 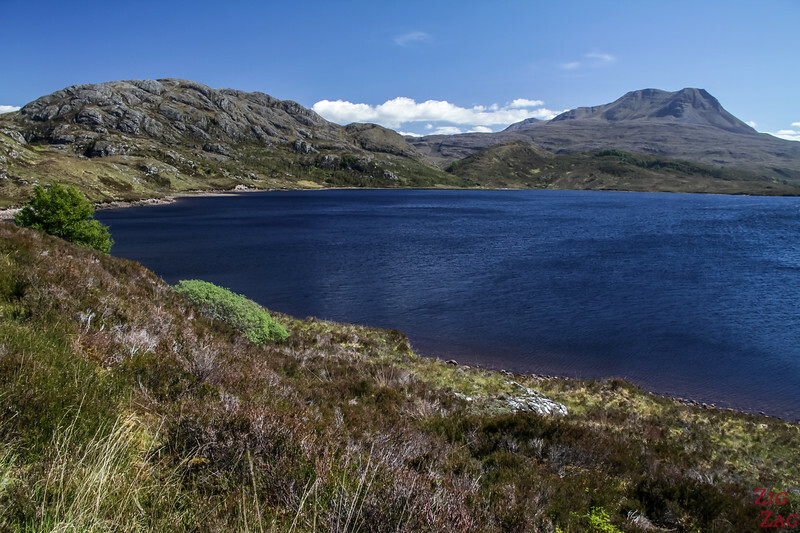 It is the most famous loch in Wester Ross Scotland. 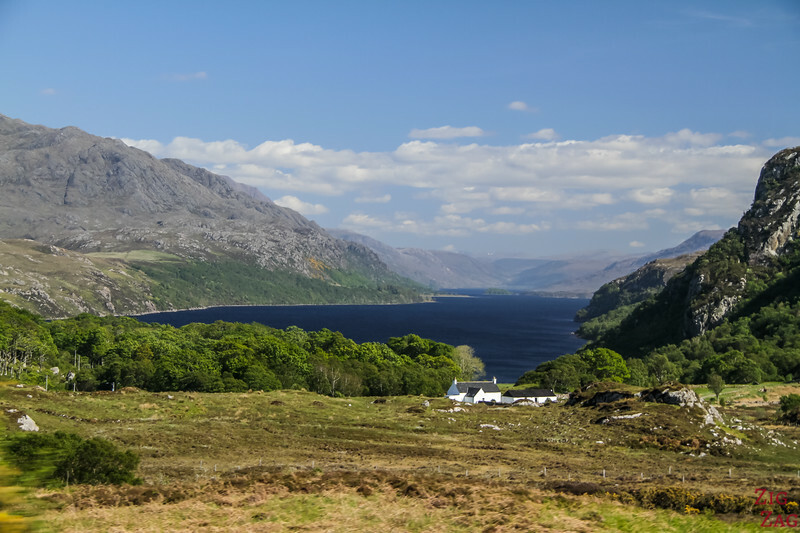 Admire more of the beauty of Loch Maree Scotland on the dedicated article. 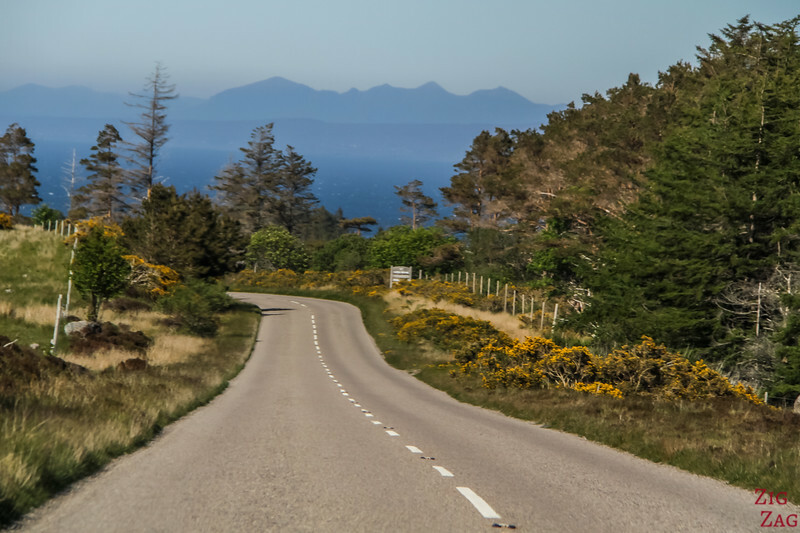 All these stops, along with many other beautiful places, are included in my eBook: The Road Trip Guide - Scotland. 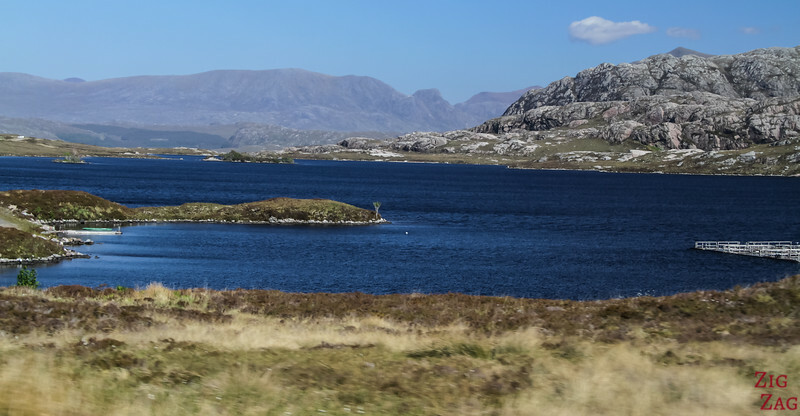 A832 then goes back inland and you discover the small Loch Tollaidh. 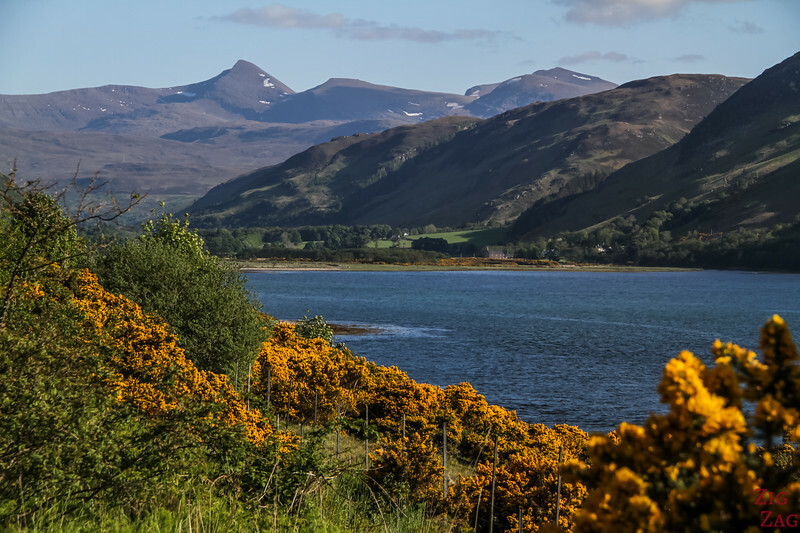 The surrounding mountains and hills are interesting and varied. It is 1.5km long and 730m at its widest. 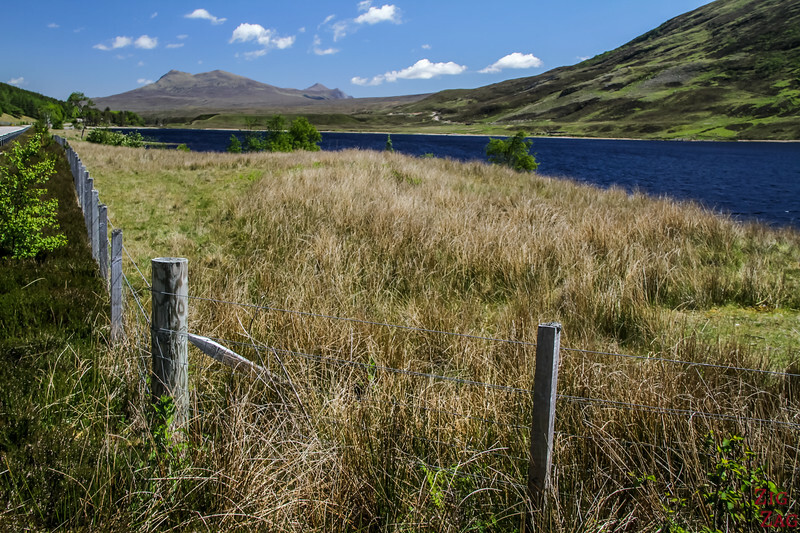 There is a commercial fish farm in the loch. 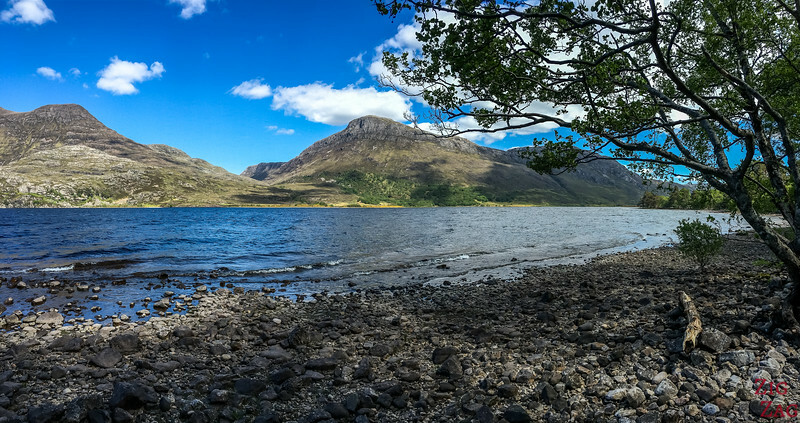 Next you get another chance to see the beautiful and long Loch Maree. This time you see the North West Head before the roads lead you again towards the sea. 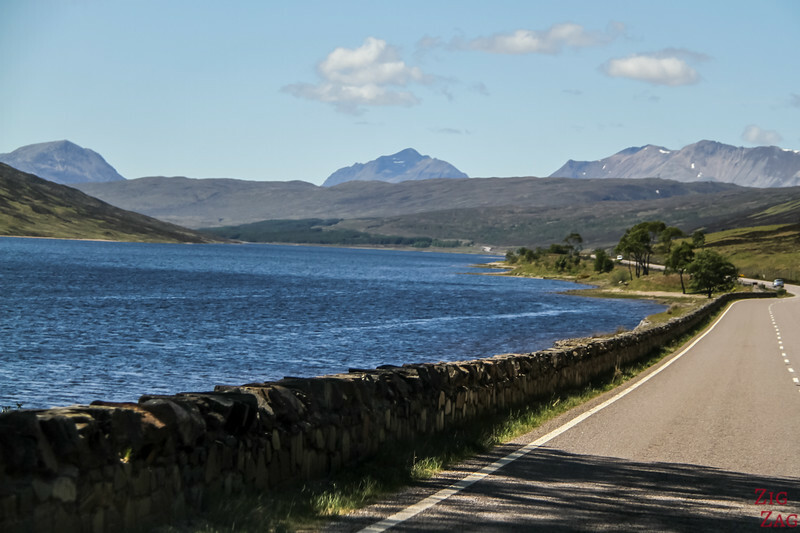 Next stop is Loch Ewe. 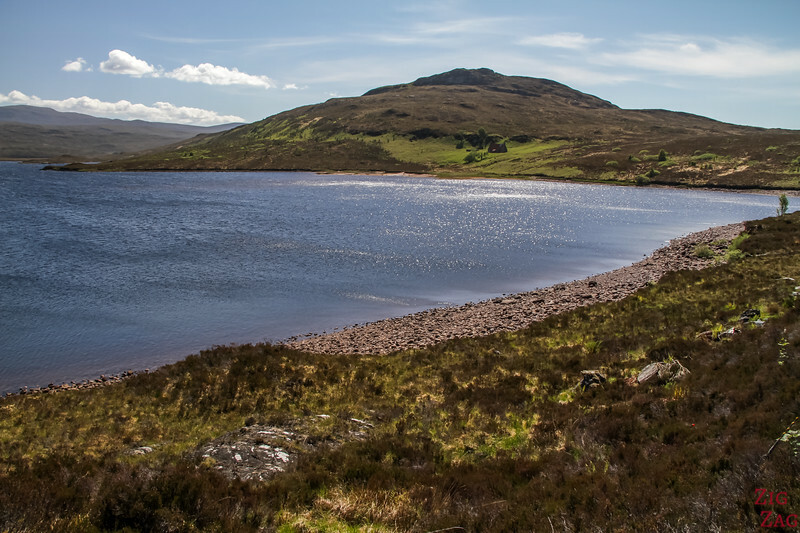 The Sea loch is wide and has its own island: the Isle of Ewe. 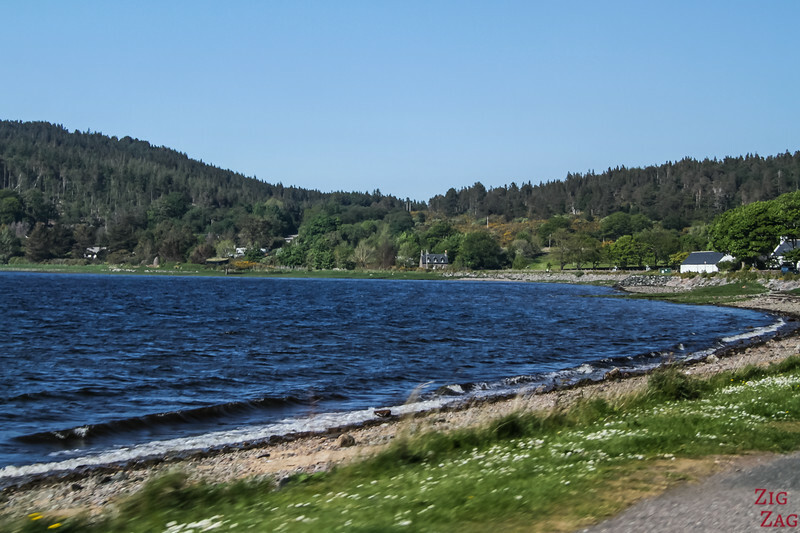 You reach its shore at Poolewe and the road takes you along its shore offering views from different angles. 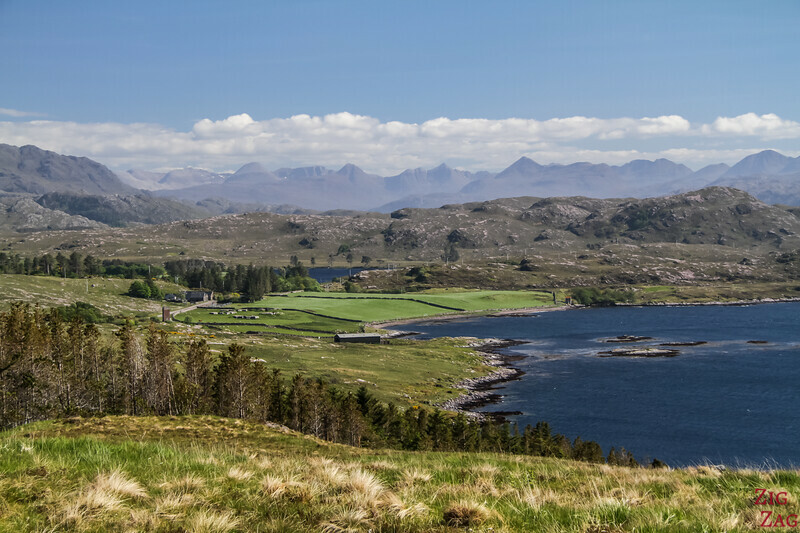 Loch Ewe has a long history of Maritime trade. 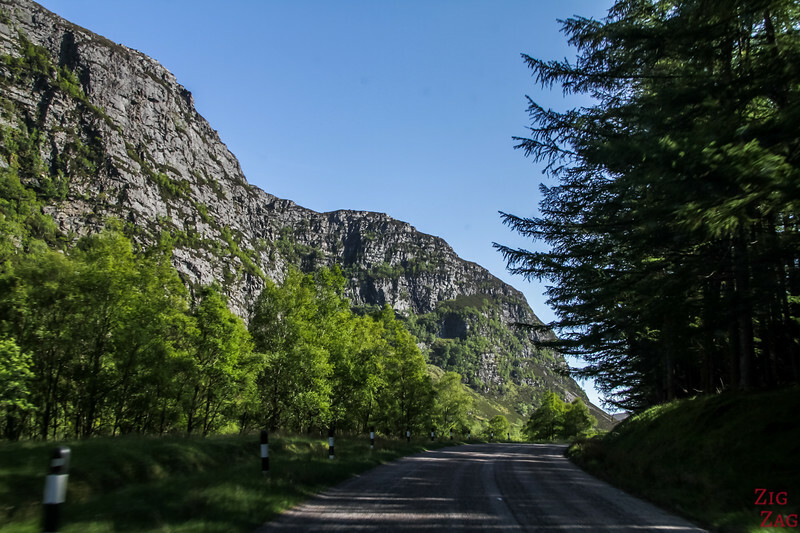 And the drives keeps changing with valleys, trees, sea, lochs... You can't get bored in Wester Ross Scotland! 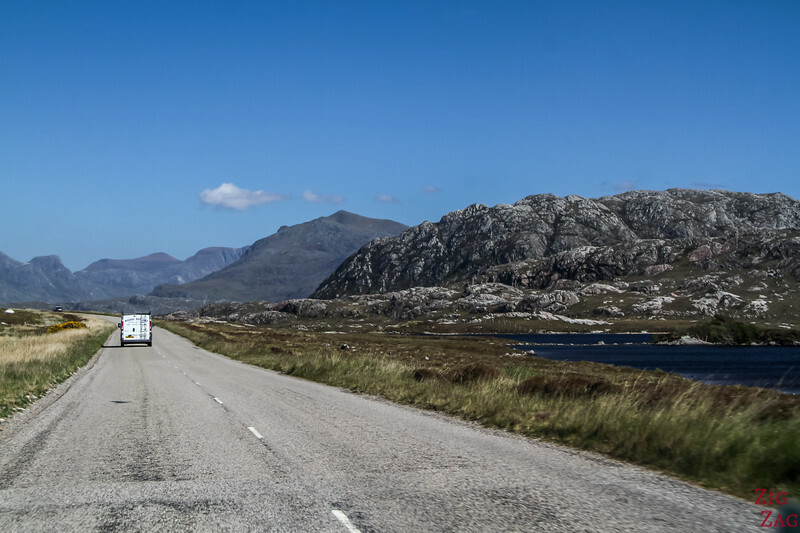 After driving inland for a little while through Wester Ross Scotland, the road takes you along Gruinard Bay. 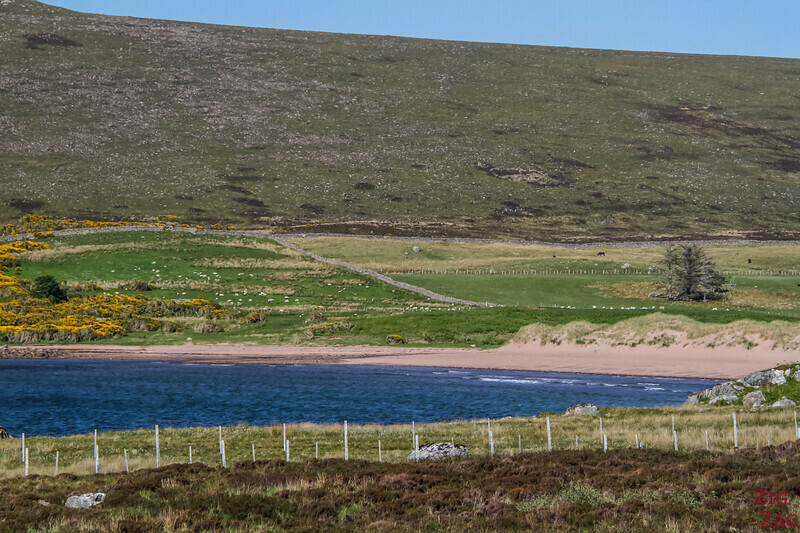 There is also a significant island but the most interesting are the pinking beaches and the views of the strange summit behind of which I cannot find the name. 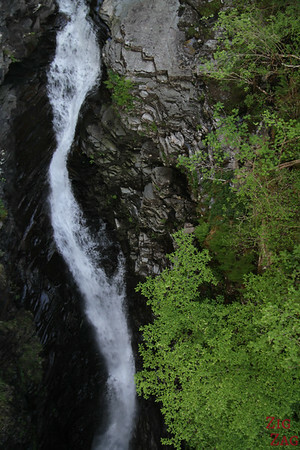 You can find more Photos and planning info on the Falls of Measach articles. 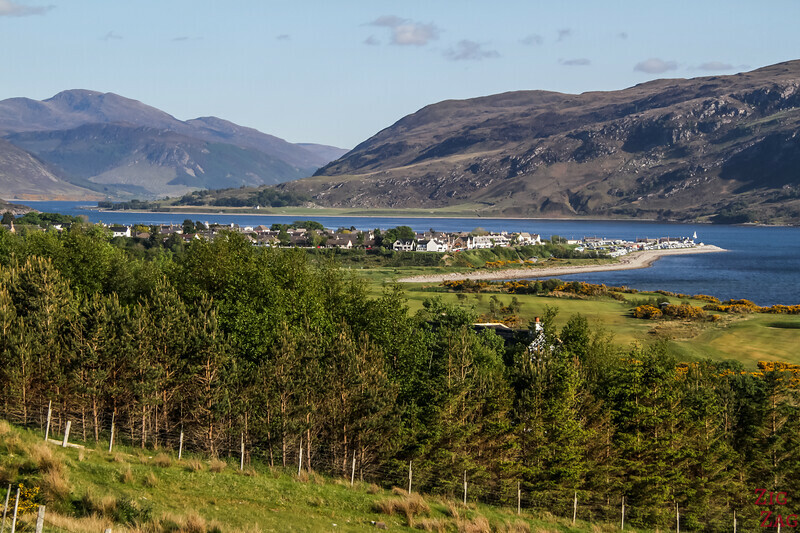 Finally you reach Loch Broom and the town of Ullapool located on a headland in the middle of the Loch. 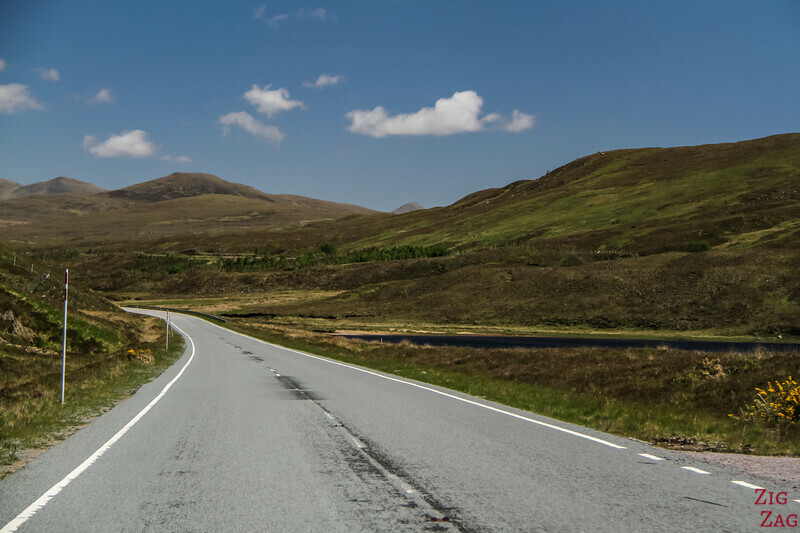 Are you inspired to take a road trip ?